Hello and welcome to Silver Beans Café. My name is Jacks, and I am one of the interviewers here at SBC. Today I am happy to be sitting down with FICTION SUSPENSE author ANN JONES! Thank you, ANN JONES, for being here today. Let’s just jump right into the interview. Let's start out by GETTING TO KNOW YOU. What GENRE DO YOU WRITE? Clean suspense with just a hint of romance  My Mom got me addicted to crime fiction when I was younger. I wanted to find something she could read and not blush. I like when an author lets me use my imagination on the graphic details. Can you please share the TITLES OF YOUR BOOKS? 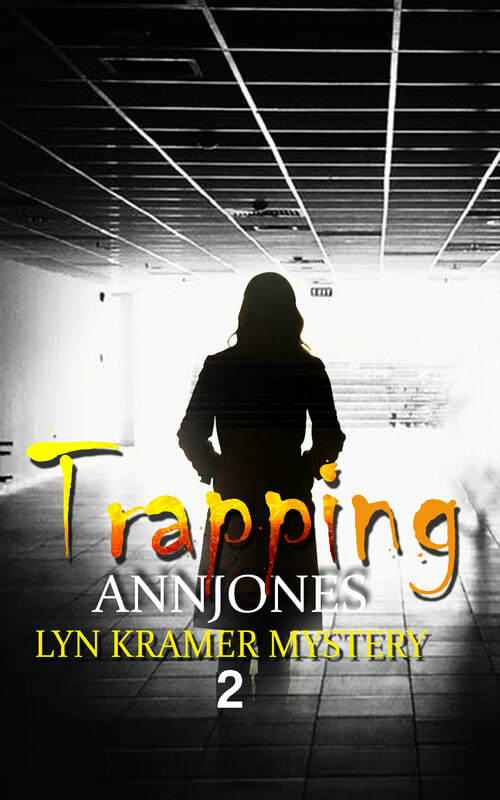 I have Missing (Lyn Kramer Mystery Book One) and Trapping (Lyn Kramer Mystery Book Two) published so far. Only Trapping is on Amazon. 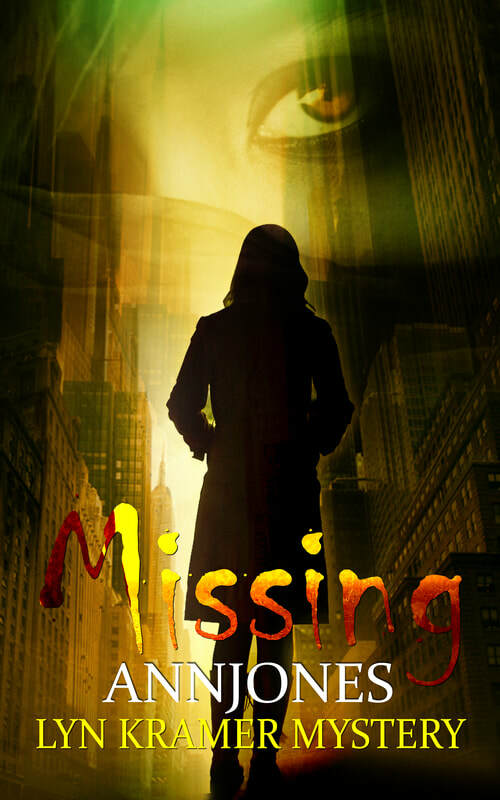 Missing is a free book on Instafreebie - http://book.annjonesbooks.com. I love about everything! Traveling, my passion – always up for a good adventure! Cooking, fun when I don’t have to lol. I like to experiment with food, if I go out to eat I usually will order the most bizarre thing on the menu to give it a try. Reading, I even keep an excel file of everything I read. Right now I mostly listen to audiobooks, I found out with publishing you don’t get a lot of sleep. While I cook, drive, clean, and all the other daily essentials I get my “reading” fix in! Now let’s switch gears a bit, let’s chat more ABOUT THE BOOKS. Let us in on a secret Ann, are there ANY TRACES OF YOUR PERSONALITY IN YOUR MAIN CHARACTER? My Mom and my friends. My Mom loves suspense, she also likes a good female lead character. I must say Jud, is pulling his own though! The ability to make the world disappear and a place for the person reading to get a bit of a break from what is going on around them. I like to know that anyone can read what I publish and be able to recommend it to anyone without worry of graphic language or scenes. For me this is important. More of a book, I read Andy Andrews. I actually read his books out of order, as I do with most things in my life…I read The Noticer Returns. Andy’s book made me try to be more aware of what is going on around me and to know anything is possible. Enjoy every day, smile for no reason, laugh and love deeply! I am trying to get a print version of both books and an audio version! Big dreams over here! Book three is in the works, toying with a couple titles but haven’t narrowed it down yet. Hopefully better books with each book published. I am always learning and suggestions are very welcome! I can’t wait to see Missing and Trapping in print, to hold them in my hands! http://book.annjonesbooks.com/ signs you up for my newsletter and you get Missing free. Promise no spam ever. I love connecting, thank you! That's so intriguing, we are in! Once again we would like to thank Ann Jones for being here today and sharing with all of us here at SBC. It’s always great to learn more about a great author like Ann Jones and to be able to share with everyone at SBC. ANN JONES for popping in for a chat! ANN JONES loves to try the wildest thing on the menu! for a good book readers? Check out Ann Jones' NOVELS!